Tecnam's new Echo Classic Light offers a respected LSA at prices comparable to those expected in 2003 when the SP/LSA rule was introduced. Major Italian producer Tecnam today announced the launch of the P92 Classic Light microlight. This is the seventh-generation model in Tecnam P92 range of airplanes, which this year celebrated 20 years of production. The company reports that over two decades of service, "P92's worldwide fleet now stands at nearly 2,000 aircraft with 200,000 flown hours. The P92 Classic Light is the 13th variant and follows on from the launch earlier this year of both the P92 Tail Dragger (video) and P92 SeaSky Hydroplane. 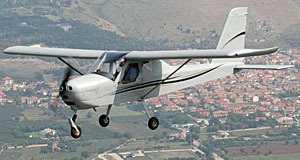 In concert with the international announcement, Tecnam North America confirmed it will launch the new P92 Echo Classic Light priced at $74,999 through to the end of 2012. For those that recall the original promise — of a fully-built LSA for about $60,000 — this price meets that expectation if you only factor in the time value of money, that is, $60,000 in 2003 (the year before SP/LSA) is $75,459 in 2012 dollars. 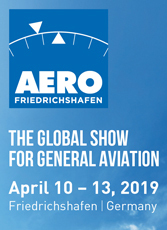 Tecnam responded to market demand for a no frills, basic, aircraft that will still retain the great flight characteristics for which the brand is known. 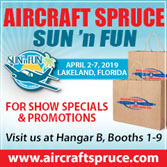 "The predominantly metal aircraft yields a day VFR aircraft that can legally be flown away from Hanover County Airport, Tecnam North America's home base, at this price with no hidden charges or surprises," stated Phil Solomon, CEO. Basic configuration info: Rotax 912UL 80 horsepower engine, which can use standard grades of automotive fuel; special light weight seats that are fully adjustable in flight; steerable nose gear with center handbrake; single 11.9-gallon fuel tank (a second tank of equal size is optional, totaling 23.8 gallons); all required day VFR instrumentation for flight outside of controlled airspace; gross weight of 1,102 pounds giving a standard useful load of 496 pounds and payload of 424 pounds. Performance specs: max cruise of 103 knots; endurance of 3 hours (with standard single tank); stall is 44 knots, clean; takeoff run is 459 feet and landing is 328 feet; The Echo Classic Light comes with a standard two-year / 200-hour manufacturer's warranty. "A limited number of upgrade packages will be available at competitive prices," Solomon added. 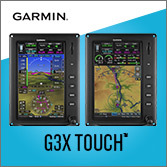 By example, buyers could add the TruTrak primary flight display for $1,700; the second tank at $1,400; or navigation and strobe lights for $2,650. 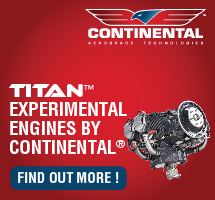 "We have built our reputation at Tecnam on producing airplanes that offer outstanding value," said Paolo Pascale, Tecnam's Managing Director. The basic Echo Classic Light package is certainly a worthy airplane from a company renown for excellent flight characteristics and handling. 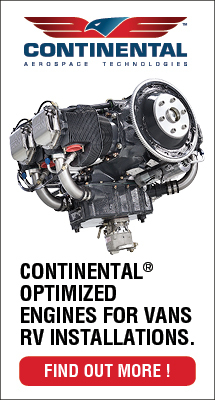 Those who decry the high price of Special LSA need look no further for proof manufacturers like Tecnam heard you and are responding. 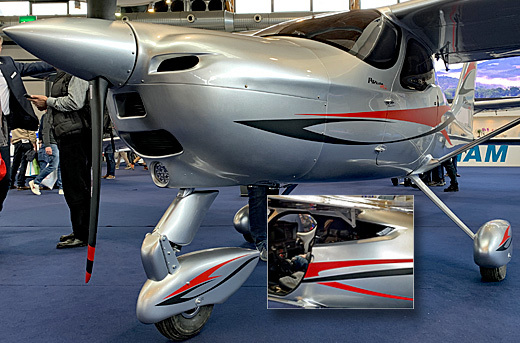 Major Italian producer Tecnam today announced the launch of the P92 Classic Light microlight. 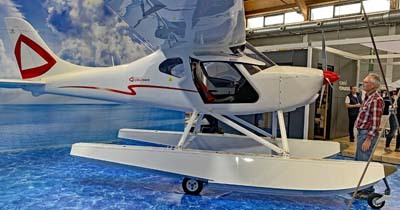 This is the seventh-generation model in Tecnam P92 range of airplanes, which this year celebrated 20 years of production. The company reports that over two decades of service, “P92’s worldwide fleet now stands at nearly 2,000 aircraft with 200,000 flown hours. The P92 Classic Light is the 13th variant and follows on from the launch earlier this year of both the P92 Tail Dragger (video) and P92 SeaSky Hydroplane. 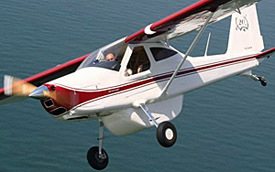 In concert with the international announcement, Tecnam North America confirmed it will launch the new P92 Echo Classic Light priced at $74,999 through to the end of 2012. For those that recall the original promise — of a fully-built LSA for about $60,000 — this price meets that expectation if you only factor in the time value of money, that is, $60,000 in 2003 (the year before SP/LSA) is $75,459 in 2012 dollars. The cargo pod added to the ruggedness of a tail dragger should make Tecnam's new model appeal to bush flying enthusiasts. 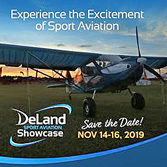 With five models currently meeting ASTM standards for SLSA, Tecnam has established itself as the leader in prolific design of Light-Sport Aircraft (they also have a Twin and are working on a four seater plus an eleven seater). Much of this design prowess owes to family patriarch Professor Luigi Pascale, known for his incredible output of designs over the years under the company names Partenavia and Tecnam. Even into his 80s, Luigi Pascale continues his energetic engineering. *** Recently the U.S. importer for Tecnam got their chance to fly the new Tail Dragger. Tecnam North America CEO Phil Solomon wrote, "We flew the Tail Dragger a couple of weeks ago and it climbed like a rocket at over 1,600 feet per minute with the Lycoming engine and performed flawlessly." He promised to send some in-flight footage, which we'll add to this article when edited and ready. *** Phil also sent some photos of the latest flights in Italy. 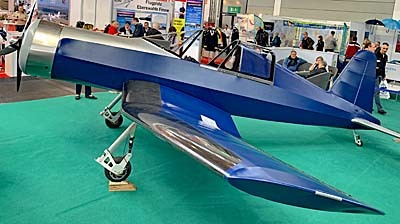 As you can see, the Rotax-powered Tail Dragger now features a cargo pod. 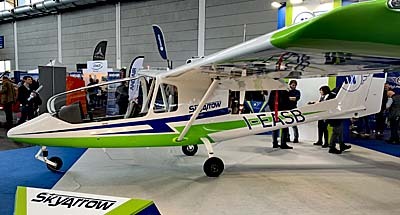 The overall combination looks tailor made for use in bush flying, opening another new aircraft product area for Tecnam. As written earlier, the Tail Dragger boasts a retro look that should endear the well flying LSA to nostalgia buffs as well as outdoor enthusiasts operating from unimproved airstrips. As our fresh video identifies, this variation of Tecnam's P92 is also a celebration of 20 years of history for the popular model from the Italian manufacturer. *** Phil also sent an in-flight photo of the Eaglet Amphib. He encouraged everyone to note the slick retract wheels (they're hidden well enough that you'll have to look hard to see them). Both the Tail Dragger and the Eaglet Amphib are new offerings in the last year. 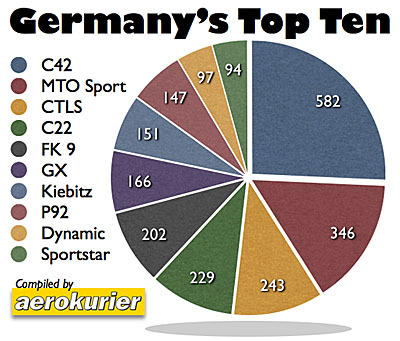 Choosing the best from the sheer number of models offered by Tecnam and their North American distributor will require a conversation with the import organization. *** You might want to call soon. Phil observed, "We still have availability under the One Per State Program including for the Tail Dragger but we will be terminating the program in the near future so now is the time to commit!" The program allows you to be the first in your U.S. state to order which will secure a sizable 20% discount on one of the company's seven SLSA models. When one person buys a specific model for his or her U.S. state, the deal ends for that model in that state. 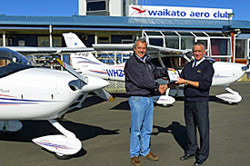 *** Finally, Tecnam announced that FarWest Aviation has become a factory-certified service center for Tecnam Light Sport Aircraft. 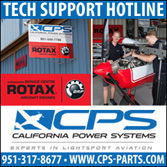 Located at historic Flabob Airport, the company recently earned the designation of Independent Rotax Service Center and can handle all aspects of Rotax maintenance and overhauls. 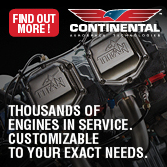 Most Tecnam models are powered by Rotax. 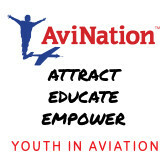 FarWest also overhauls Lycoming and Continental engines and does aircraft annual inspections, propeller balancing, aircraft detailing, restorations, repairs and conversions, fabric recovering and painting. 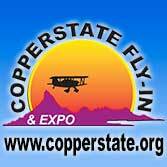 FarWest has occupied Hangar 43 at Flabob Airport for six years. Contact the California outlet for more info. 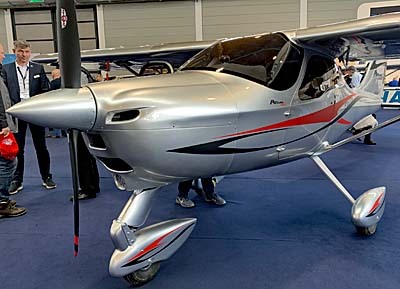 With five models currently meeting ASTM standards for SLSA, Tecnam has established itself as the leader in prolific design of Light-Sport Aircraft (they also have a Twin and are working on a four seater plus an eleven seater). Much of this design prowess owes to family patriarch Professor Luigi Pascale, known for his incredible output of designs over the years under the company names Partenavia and Tecnam. Even into his 80s, Luigi Pascale continues his energetic engineering. *** Recently the U.S. importer for Tecnam got their chance to fly the new Tail Dragger. Tecnam North America CEO Phil Solomon wrote, “We flew the Tail Dragger a couple of weeks ago and it climbed like a rocket at over 1,600 feet per minute with the Lycoming engine and performed flawlessly.” He promised to send some in-flight footage, which we’ll add to this article when edited and ready. *** Phil also sent some photos of the latest flights in Italy.